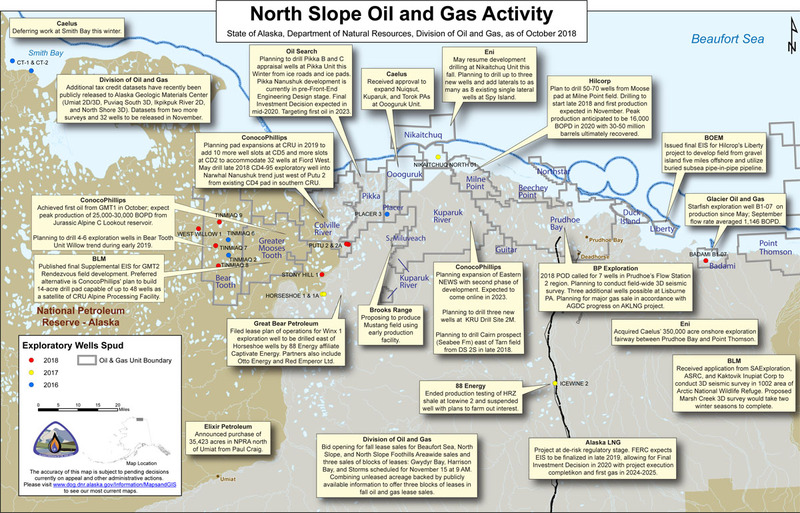 North Slope oil and gas activity as of Oct. 2018. Is the North Slope seeing a resurgence in oil production? What about offshore? There’s a lot of industry excitement over promising new prospects, so what will it take to translate that into new oil flowing through the trans-Alaska Pipeline? And could lower per barrel oil prices cool off the hot talk? Looking at the possible oil industry renaissance is our discussion on the next Talk of Alaska. LIVE Broadcast: Tuesday, November 27, 2018 at 10:00 a.m. on APRN stations statewide.